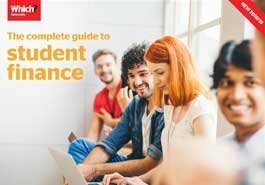 Classroom resource: The complete student finance guide - Which? Student finance can seem scary to students, and a minefield of figures and jargon for you as a teacher to stay on top of. However, fear not. We've brought you a free, downloadable guide on student finance packed full of the information you need. How do I use this resource in class? Bursaries and scholarships: are your students entitled to them? Student budget planner template: help your students to manage their living costs at uni, or use it as a resource to take them through your own budgeting activity. This task encourages students to engage with an area they may be unfamiliar with and helps stimulate classroom discussion and peer-to-peer learning. 1. Divide the board into three areas titled 'Before', 'Unsure' and 'After'. At the start of the session (before you introduce the guide to students) ask them what they know about student finance or the cost of university. Or anything they are unsure of or have questions on? Write these in the 'Before' and 'Unsure' areas on the board. 2. Next, ask students to read pages 2, 3, 4 and 5 of the guide below. Afterwards split them into pairs, and ask them to write down new information they have learned from reading these pages. Including anything, they didn't understand. 3. Ask them to share their thoughts with the class, and write them on the board under 'After'. Many of them may have the same point, in which case an extra tick is placed beside that point on the board. 4. If any pair highlights a point they are unsure of, discuss as a class what it could mean. 5. Afterwards recap everything they have learned, which will include some of the points they had or questions they were unsure of. Encourage students to read through the rest of the guide highlighting key parts to them.